On June 22, outrigger canoe racers from across the globe will once again test their strength in this year’s Liberty Challenge race through New York Harbor. The event, put on by the New York Outrigger Club and sponsored by Hawaiian Airlines, celebrates both endurance paddling and Polynesian culture, all with a dash of New York City charisma. 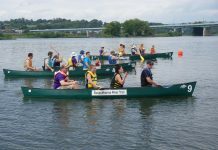 Since its inception in 1996, the regatta has drawn more than 300-world class athletes each year to paddle against the strong tidal currents of the Hudson and East rivers. 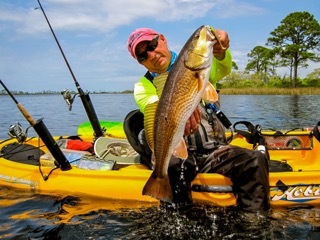 Teams from Australia, Britain, Hawaii, California, Florida and New York have already signed up to weave their boats around the ferries, cruise ships, tour boats, barges, tankers and pleasure crafts that fill the harbor – a paddling experience varying greatly from many of the teams’ more rural training grounds. Men, women and co-ed tearms will race in heats over the course of the day. The men’s and women’s races cover 15-miles while the co-ed teams paddle an abbreviated 11-mile course. Set against an iconic backdrop of the Statue of Liberty, Ellis Island and the Brooklyn Bridge, thousands of spectators will have the opportunity to interact with the athletes as the teams launch their canoes. By standing at the end of TriBeCa’s Pier 26, spectators can also easily gain a clear view of the race’s dramatic start and finish. On top of the thrill a world-class competition like this brings, the festival is also a celebration of the sport’s Polynesian roots. As musicians flown in from Hawaii especially for the festival perform, visitors can try their hand at lei-making or outrigger paddling, participate in yoga classes and taste traditional eats from the Pacific Islands provided by one of the many food vendors scheduled for the event. 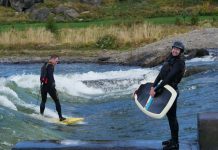 The New York Outrigger Club is a volunteer-driven non-profit that works to provide New Yorkers with a unique opportunity to experience the city through its waterways while teaching paddlers about the sport’s Polynesian background. 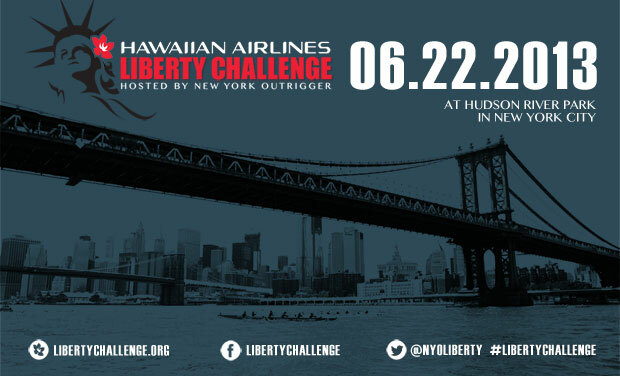 For more information on the Liberty Challenge or the New York Outriggers, visit newyorkoutrigger.org.